Paquet is a deli, not a restaurant. Even though it’s not a place you can eat, it still fulfills an important role of my life here. The food is basically French. There are three great things aboutt Paquet. First, it has wide variety of selection to choose from. I’ve never counted, but I’m sure that there are at least 15 different kinds of food. You can choose some meat, fish and then some salad and so on. Secondly, it’s really cheap. Maybe because it’s not a restaurant so they don’t need some cost restaurants would do, but I’ve never spend more than 1,000 yen for one person. Usually I spend 800 to 900 yen for enough amount. Finally and most importantly, they are really tasty! 95% of their food has been delicious. 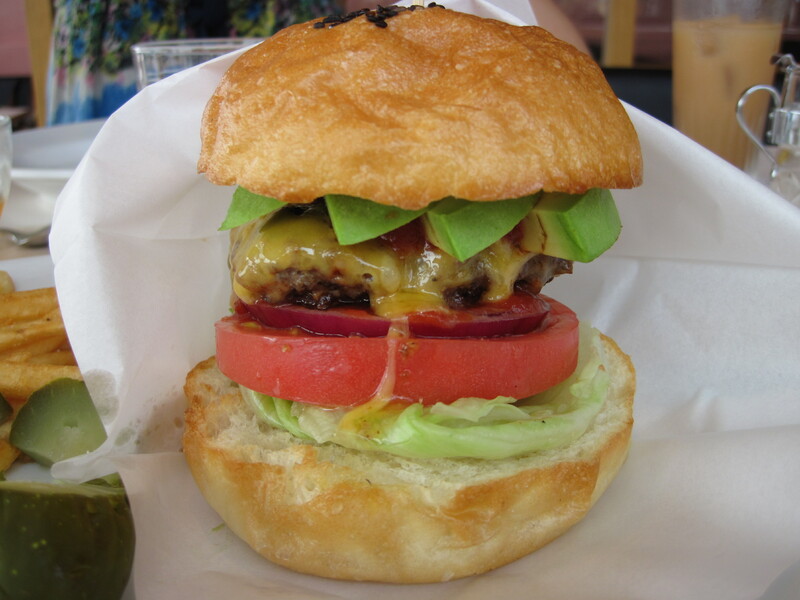 There’s only one time that I thought the meat was a bit too salty, but except for that, everything has been satisfying. So, what I usually order is “sanpin” three box set with rice. You can choose three different “food”. I don’t know how I should call these individual food, but I guess you can see what I’m talking about from the images above. 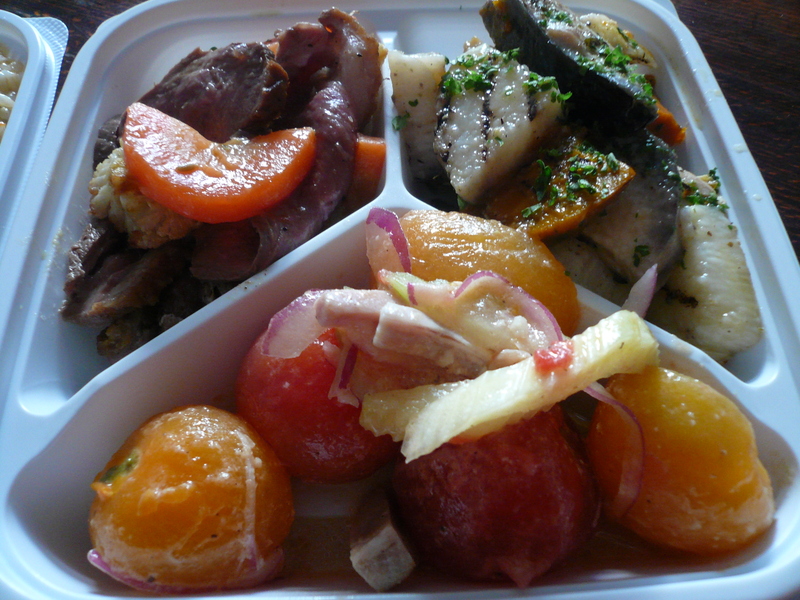 Maybe “okazu” or “tapas”? 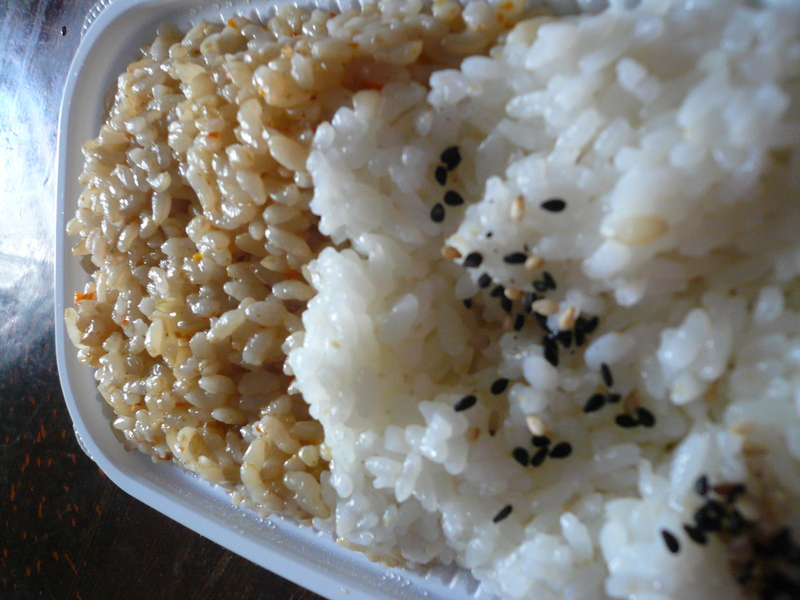 And I order two different kinds of rice by telling them “moriawase”, which means “combination”. Deli is a great place to buy from when you are eating in and tired to cook or no time to cook. 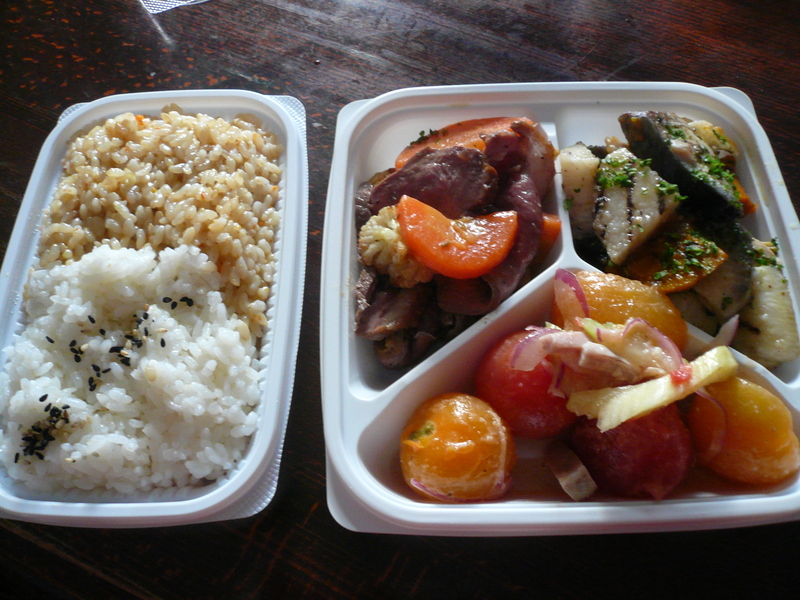 The quality is much much better than bento from convenience stores or super market. Well, I shouldn’t compare with them since it really is professional. Please refer to the link below for more details. It’s closed on Sundays. 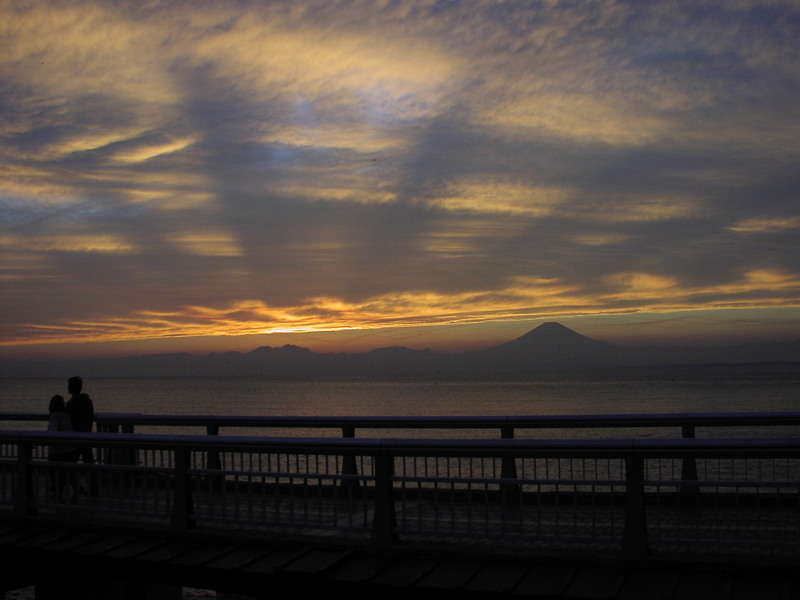 From the bridge to Enoshima. Also from the bridge. Below are from Kugenuma kaigan. 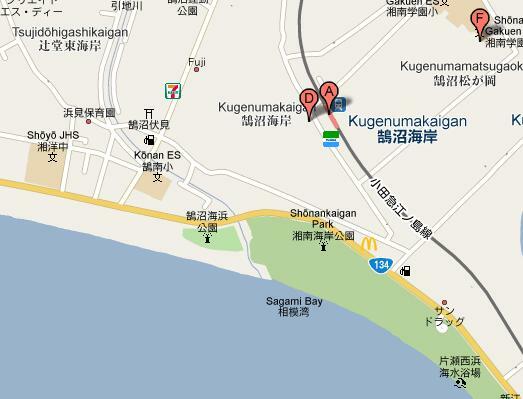 Kugenuma kaigan, means Kugenuma beach. It’s an area in Fujisawa city. 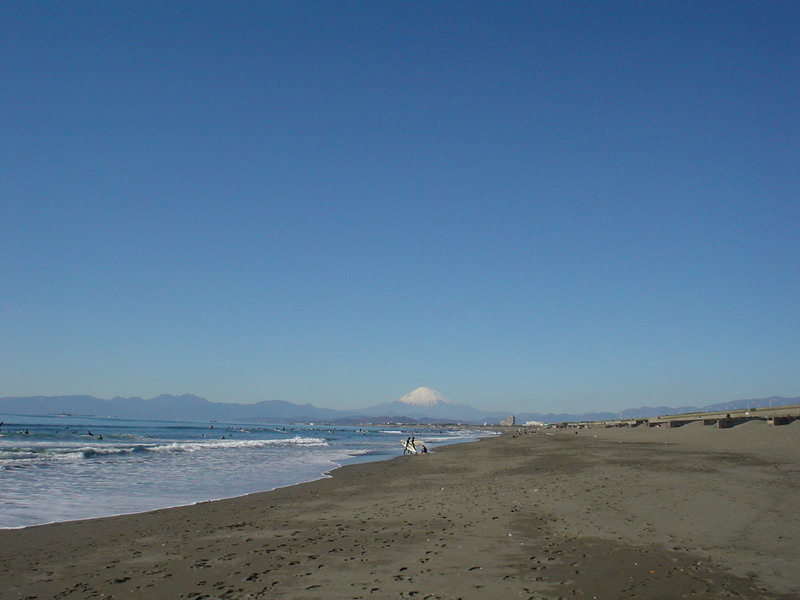 The kaigan is facing the Pacific ocean and Hikichi river splits the beach. You are not allow to swim on the west side, however, somehow, only surfers are allow to surf. Contrarily, the east side of the beach is hugely populated by locals and, in summer, tourists. And lots of them. The beach is accessible by either car or train. 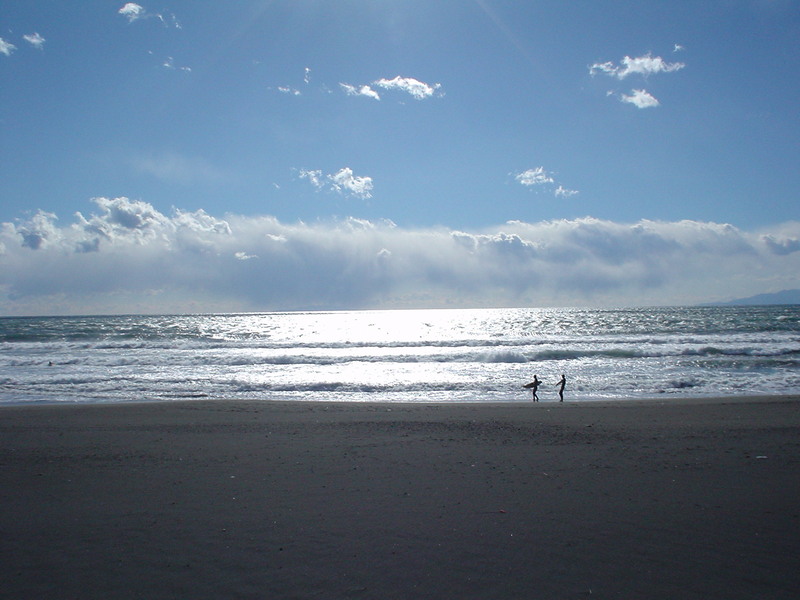 From Kugenumakaigan station,Odakyu line, to the beach take you about 10 min walk maximum. The way to the beach may be a bit complicated to strangers but just keep going south, you will eventually find the beach (see the map below!). 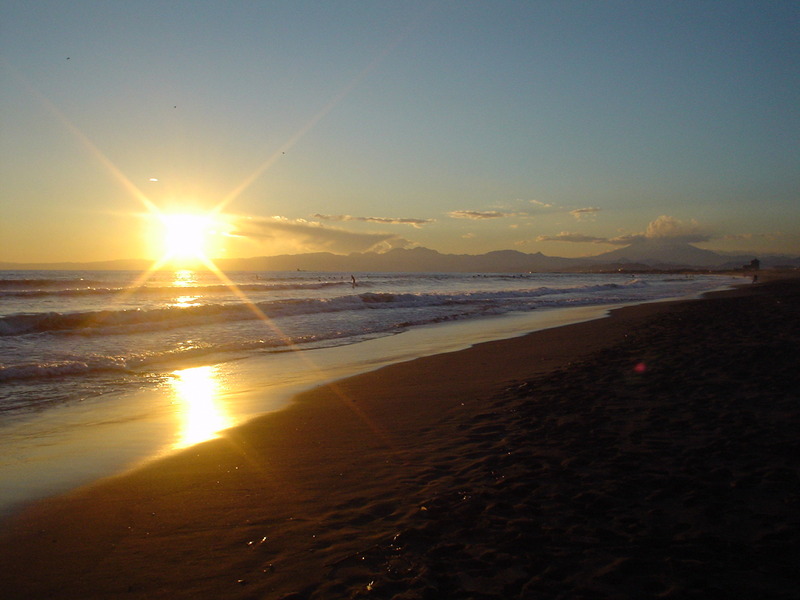 Anyway, the beach maybe crowded, noisy, unclean, but that’s only true in summer. 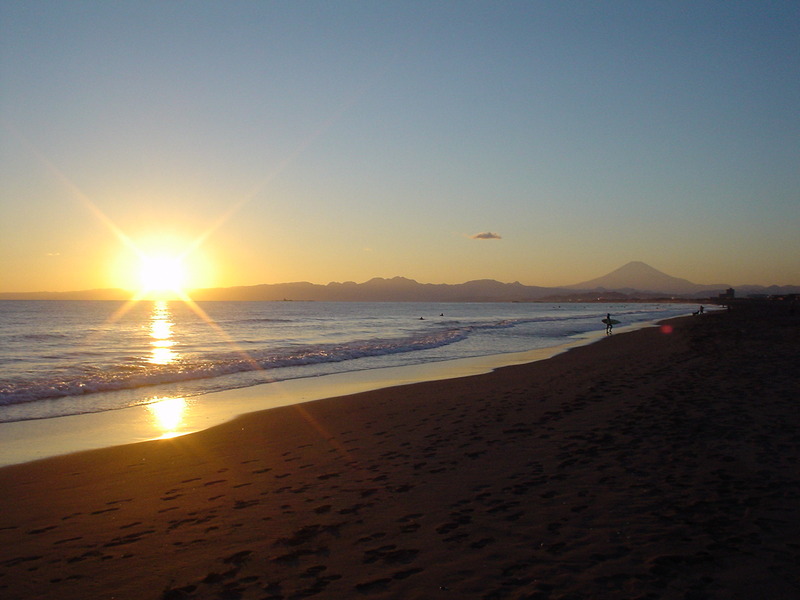 Winter is cold, but, the beach is clean, quiet, and sky is clear thus beautiful sunset. You can see Mt. Fuji and sunset altogether as the image above. 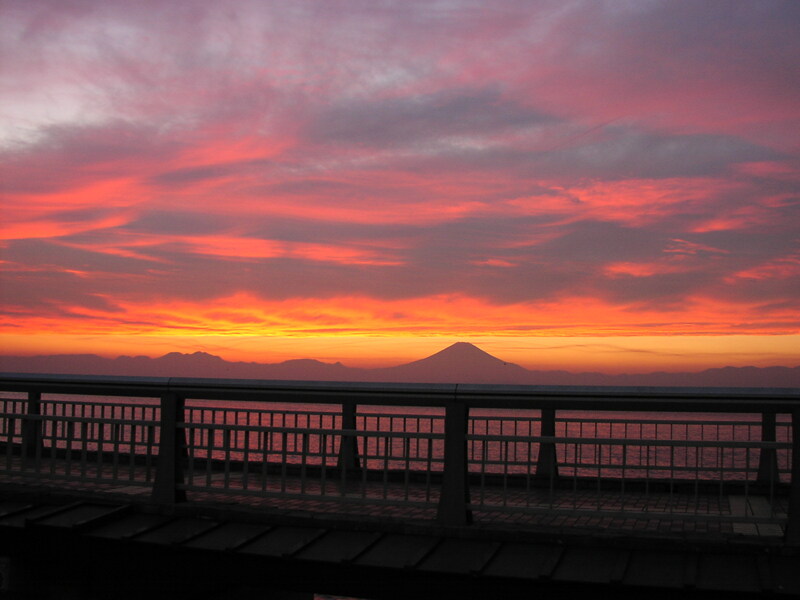 You will see many people taking photos of the sunset during winter. In later posts, I will upload more of bits and pieces of the area and Fujisawa city, so any comments and questions are welcomed although I may not be able to answer, I’ll try!